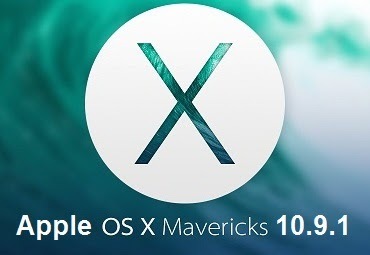 After testing the very first beta version, now Apple has officially releases the Mac OS X Mavericks 10.9.1 Final Update for users running OS X Mavericks 10.9 operating system. The latest OS X Mavericks 10.9.1 Update File contains several improvements, fixes, compatibility, stability, and security updates for Mac OS. The Direct Download Links of OS X Mavericks 10.9.1 Final .DMG Setup/Update File is available for Mac users below. It’s a tradition of Apple to keep provide updates to its Mac OS X operating systems every month, so it’s also expected in future that users might get OS X Mavericks 10.9.2, 10.9.3, 10.9.4 updates as well. The OS X Mavericks 10.9.1 Update Final is also available for MacBook Pro with Retina Display (Late 2013) and Mac Pro (Late 2013). Download OS X Mavericks 10.9.1 Final .DMG Setup/Update File via Direct Links and you can install it manually via iTunes. What's New in OS X 10.9.1 Update Changelog?